19In the past few years, the West Kingdom has welcomed thousands of travelers from around the world, so it seem to be a great idea to discover Morocco with your motorhome. Morocco is a popular destination for tourists, but also for motorhome drivers because of its culture, its traditions and its beautiful landscapes. Between sea and mountain, Atlantic and Sahara you have the opportunity to discover extraordinary landscapes. 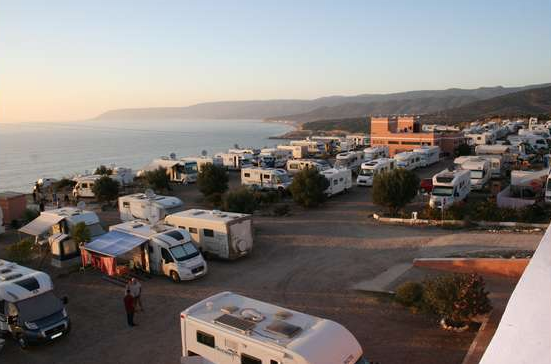 In addition, many cultural and architectural treasures are waiting for you over there: souks, medina, riads, hammam…19 Please note that the most popular route for campers is to cross Spain and then sail to Algeciras; Arrival in Tangier or Ceuta. About the languages spoken in Moroccos, the inhabitants speak mainly Arabic and French. And for the currency, the local currency is Dhiram (1.00 € = 11 DH). Be careful, it is forbidden to import or export Moroccan currency. We recommend that you provide enough money in cash, withdrawals from distributors are expensive, and payments are made in cash only. Regarding parkings and places to stay, many facilities are now available to travelers: from cheap to expensive, rustic to refined, everyone finds his happiness according to his wishes and needs. *You can park here to discover Morocco by camper.